Barça are the King of the Cup with 29 victories to their name in the competition, more than any other club in La Liga. The latest came in the 3-1 win over Alavés, a third successive victory for the team in the Copa del Rey with Luis Enrique as coach. Furthermore, the victory in the Vicente Calderón means that Messi,Iniesta,Piqué and Busquets are amongst the eleven most successful players in the Club’s history in the cup with five victories. The illustrious XI is made up of legendary players past and present with the likes of Samitier, Alcántara and Kubala rubbing shoulders with Torralba, Sancho and Ramallets as well as Barça’s contemporary cup heroes. Top of the pile, however, is Segarra who claimed no less than six victories in the competition as a blaugrana. 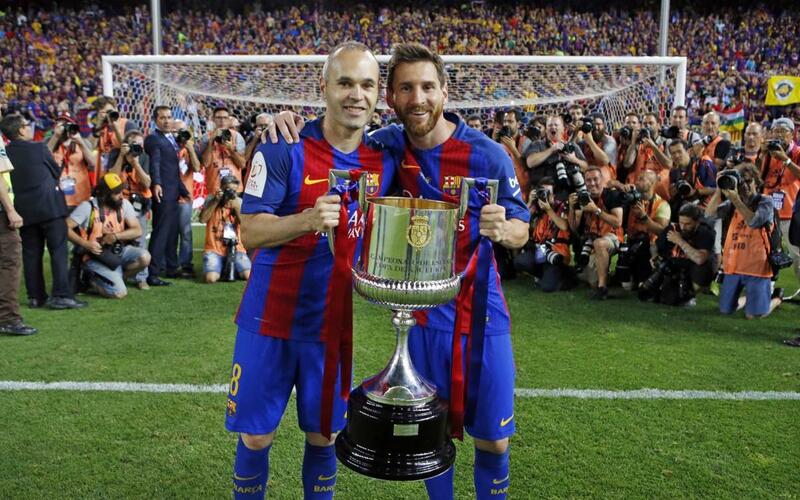 With the latest Copa del Rey triumph, Leo Messi and Andrés Iniesta have now won 30 trophies each during their time as blaugranes, a figure no other player has ever reached. Piqué and Busquets add title number 25 to their list of honours, drawing level with another legend, Xavi Hernández.